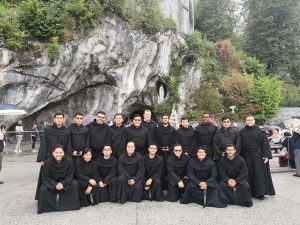 Marcilla, Navarra, SPAIN — The six-week course of preparation for the solemn profession ended on August 24, 2018. 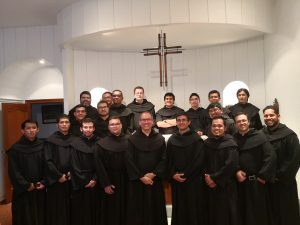 The international group of sixteen participants consisted of friars from eight countries: Spain, Colombia, Philippines, Venezuela, Peru, Costa Rica, Brazil, and the USA. Five simply professed Filipino friars joined the course namely Fray Jovy Gallego, Fray Andrie Pugate, Fray Jorr Rabacal, Fray Tomokatsu Yamaguchi, and Fray Jessriel Marcha. It was facilitated by Fray Francisco Javier Monroy Rodríguez (President of the General Secretariat for Spirituality and Formation), Fray Juan Pablo Martínez Peláez (President of the General Secretariat for Vocation and Youth), and Fray Kenneth Joseph Onda (Master of the Professed of the Province of St. Ezekiel Moreno). The first half of the course was done in Monachil, Granada and the other half of the course was done in Marcilla, Navarra. In an unprecedented move, the Province of St. Ezekiel Moreno sent participants to the course of preparation. The Prior General, Fray Miguel Miró Miró could not help but notice the presence of all the four “new” provinces of the Order. On a sad note, the two Nigerian brothers were not able to go with the Filipinos in Spain due to difficulty in their documents. The six Filipinos left for Madrid, Spain on June 6, 2018. Upon arrival in the Barajas airport in Madrid, Fray Jovy Gallego, and Fray Andrie Pugate were transported to the Casa de Formación San Agustin, a formation house under the Province of San Nicolas de Tolentino in Las Rozas which is located in the Spanish capital. Meanwhile Fray Kenneth Joseph Onda was transported to the Casa San Ezekiel which is also in Madrid. On the other hand, Fray Jorr Rabacal, Fray Tomokatsu Yamaguchi, and Fray Jessriel Marcha were transported to the Convento Nuestra Señora del Buen Consejo, a formation house in Monachil, Granada, under the Province of Santo Tomas de Villanueva. 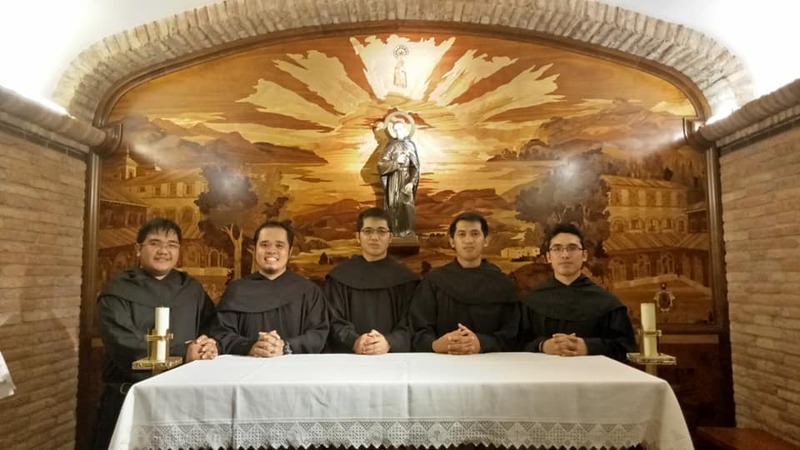 The course started on July 16, 2018 and while waiting for the said date, the Filipinos dedicated themselves to the study and familiarization of the Spanish language, thanks to the friars with whom they lived with. 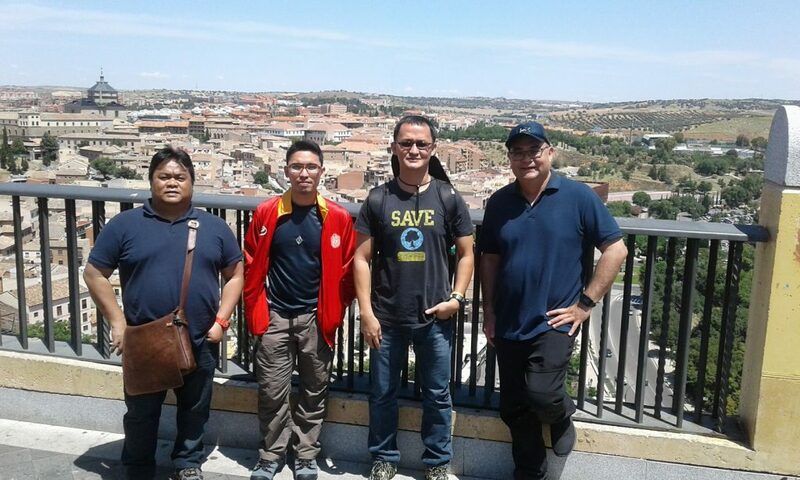 Fray Virgil Paredez, OAR, (far left), and Fray Mark Rochele Renacia, OAR, (far right), who are now in Spain for further studies, were visited by Frays Andrie Pugate, OAR, and Kenneth Joseph Onda, OAR, in Madrid, Spain. During the first week of the course, Fray Juan Pablo Martínez Peláez discussed the three evangelical counsels. On the second week, Fray Enrique Goméz discussed the following topic: Sabiduría de la Comunidad. During the third and final week in Monachil, Fray Hugo Sanchez elaborated on the following: Sabiduría de la Interioridad. During the fourth week of the course and the first week in Marcilla, Fray Kenneth Joseph Onda talked about the following: Sabiduría de Ecclesialidad. The Camino de Santiago was done on the fifth week where everyone did a 101-kilometer pilgrimage to the cathedral in Santiago de Compostela where the crypt of St. James, an apostle of Christ, is located. The Camino, as it is commonly called, found its place in the program as an ingenious way of allowing the participants ponder on St. Augustine’s reflection on life as a kind of pilgrimage to God. 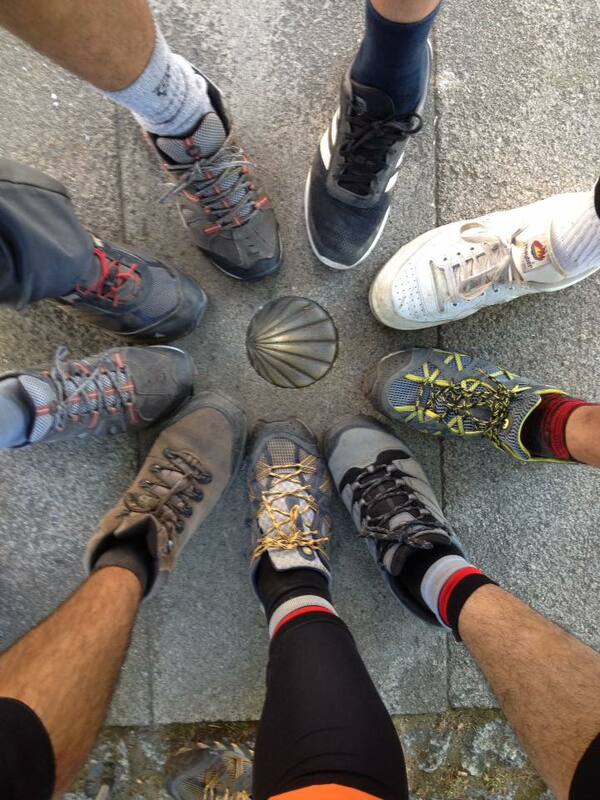 The participants set their feet on one of the markings on their pilgrimage via Camino de Santiago. The final week of the course was dedicated on the Augustinian Spiritual Exercises which was facilitated by Fray Carlos Maria Dominguez, the former Prior Provincial of the Province of Santo Tomas de Villanueva. Within five days, the participants dedicated themselves to silence and the practice of lectio divina. Four provinces, eight countries, sixteen young religious all converged in one country: Spain. 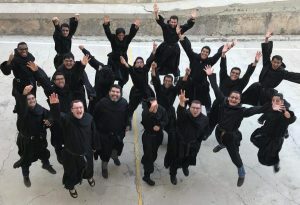 Despite differences in language and culture, all the candidates for solemn profession proved that unity and fraternity are always possible. It is hoped that with God’s grace, the participants of this course of preparation will continue the revitalization undertaken by the whole Order of Augustinian Recollects.